We define enrichment as creating quality relationships and experiences that contribute to life satisfaction and overall well-being. The concept of enrichment consists of three core components—health, people, and purpose—that comprise a rich life. Health: Creating frequent opportunities for team members to connect through fitness, sports, and recreation to improve physical, mental, and emotional wellbeing. People: Creating authentic connections (defined as genuine, quality, supportive relationships that generate mutual trust and accountability), reflected in an increased number of close relationships and improvements in teammates’ sense of belonging, purpose, and community engagement. Purpose: Engaging members in meaningful team and community-based experiences such as leadership and service that, beyond physical and social activities, renew self-identity and purpose in life. 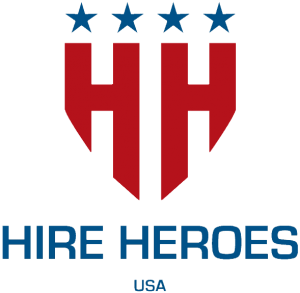 Hire Heroes USA provides free, essential career services to hundreds of transitioning U.S. military members, veterans and military spouses every week – across the country and around the world. Our program of personalized, one-on-one career coaching and transition workshops is designed to remove any barriers to employment, while building the confidence needed during a civilian job search. We do this through resume assistance, career coaching, mock interviews, job matching, virtual career fairs and a job board. We also work closely with a wide range of respected employment partners – from small businesses to Fortune 100 companies. Through increased innovation and effectiveness, Hire Heroes USA continues to set the standard in veteran employment because that’s all we do – and we’ve been doing it with best-in-class results since 2007. Real Hero Report is a free, monthly publication providing news, resources, deals, hiring opportunities and resources to Metro Atlanta’s military, veteran and first responder personnel and families. Copies are distributed directly to our men and women on base, as well as to area Veteran Service Centers, veteran organizations, law enforcement and fire stations, as well as many other locations. The mission of Real Hero Report is to communicate support to our men and women in uniform from the Metro Atlanta community. America’s Warrior Partnership has created a replicable model for the delivery of services to Warriors. In the Aiken, SC, and Augusta, GA; Charleston, SC; Florida Panhandle; Greenville, SC; Buffalo, NY and Orange County, CA communities, this is resulting in very low veteran homelessness, success for veterans with employment, greater access to benefits and higher use of the G.I. Bill for education. Community integration is a collaborative effort between Wounded Warrior Project, America’s Warrior Partnership, and community groups to collectively help warriors successfully transition and establish a cornerstone of support in their communities. The Coca-Cola Company is the world’s largest beverage company, refreshing consumers with more than 500 sparkling and still brands and more than 3,800 beverage choices. Since 1886, we have been committed to refreshing the world, inspiring moments of optimism and happiness, creating value and making a difference. This mission also extends to the way we support our country’s military, veterans and their families.The Company began its support of U.S. military troops in 1941 during World War II when former Company President Robert Woodruff committed “to see that every man in uniform gets a bottle of Coca-Cola for five cents, wherever he is and whatever it costs the Company.” That same decade, the Company began its 75-year partnership with the USO to give back to the men and women who serve. Today, the Coca-Cola system continues to support and provide great-tasting beverages to service members and veterans of the Armed Forces and their families. We also are committed to proactively recruiting, hiring and developing military veterans, as well as creating programs that pay tribute to their service. UPS is proud to be one of the nation’s largest employers of military reservists and veterans of the United States Armed Forces. Some come to utilize their experiences as drivers; officers; logisticians or pilots. Others enhance their “day jobs” with crucial skills they developed on assignment; such as leadership; respect and strategic planning.As a reservist or veteran with unrivaled commitment, character and integrity, you can utilize your greatest abilities to transition into a promising career that best suits you. Click on these links to see available UPS jobs in the following areas: Air Operations, Customer Solutions, Drivers, Information Systems, Mechanics, Package Handlers, Sales, Supervisors. Over the years, Deloitte has maintained our commitment to making America stronger. We’ve introduced a more integrated, comprehensive approach that looks at military members and veterans more holistically (through both an emotional prosperity and career prosperity lens) and better aligns with military members’ and veterans’ needs.Deloitte is leading from the front with our commitment to military members, veterans, and their families. Join our Military Veterans talent community to see how we can help you bring your leadership to the workplace. KPMG proudly honors our American heroes, including our own partners and employees, who have served or are active in the military. Our commitment to veterans extends to partnerships with a wide range of organizations that support the military-to-civilian transition. Together, we are dedicated to providing an inclusive culture that recognizes veteran talent and supports the communities where we work. Here’s a sampling of our partnering veteran organizations. 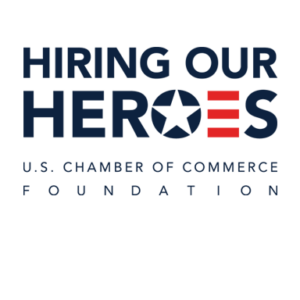 Hiring Our Heroes, a program of the U.S. Chamber of Commerce Foundation, launched in March 2011 as a nationwide initiative to help veterans, transitioning service members, and military spouses find meaningful employment opportunities. Working with the U.S. Chamber of Commerce’s vast network of state and local chambers and strategic partners from the public, private, and non-profit sectors, our goal is to create a movement across America in hundreds of communities where veterans and military families return every day.To date, more than 31,000 veterans and military spouses have obtained employment opportunities through Hiring Our Heroes events. More than 2,000 companies of all sizes have committed to hire 710,000 veterans and military spouses as part of the Hiring 500,000 Heroes campaign. Of those commitments, there have been more than 505,000 confirmed hires. 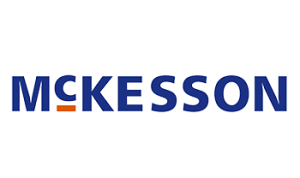 At McKesson, we stand for better health — for our customers, for patients, for our employees, for the communities where we operate and for the millions of lives we touch every day. We’re a pioneer in supply-chain, health care and technology solutions. We’re driving success for health care organizations of all sizes by helping them run their businesses more effectively to serve patients better.You’re mission driven—and so are we. You’ll find military veterans at all levels across our company. We depend on former submariners, infantry, flight-line crew members, nurses, logisticians and many other military specialties. The critical skills you learned in the military are exactly what we’re looking for. Eaton has been in business for 100+ years providing energy-efficient solutions that help our customers effectively manage electrical, hydraulic and mechanical power more efficiently, safely and sustainably. Eaton has approximately 102,000 employees and sells products to customers in more than 175 countries. Because of the pivotal role we play, Eaton is committed to creating and maintaining powerful customer relationships built on a foundation of excellence. We have manufacturing facilities and career opportunities in almost every state in the US. 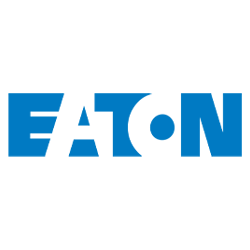 If you’re looking for a post military career that offers stability, an opportunity for growth and a company with core values and an operating philosophy that aligns exceptionally well with the core values of those who have honorably served in the military, I invite you to learn more about Eaton. SunTrust Banks, Inc., with total assets of $191 billion as of December 31, 2015, is one of the nation’s largest and strongest financial holding companies.Through its banking subsidiaries, the company provides deposit, credit, trust, and investment services to a broad range of retail, business, and institutional clients. Other subsidiaries provide mortgage banking, brokerage, investment management, equipment leasing, and capital market services. Atlanta-based SunTrust enjoys leading market positions in some of the highest growth markets in the United States and also serves clients in selected markets nationally. The company operates approximately 1,400 retail branches and 2,160 ATMs in Alabama, Arkansas, Florida, Georgia, Maryland, Mississippi, North Carolina, South Carolina, Tennessee, Virginia, West Virginia, and the District of Columbia. In addition, SunTrust provides customers with a full range of technology-based banking channels, including Internet, PC, and Automated Telephone Banking. 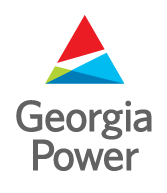 Georgia Power, the largest operating company within Southern Company, has been providing electricity to Georgia for more than a century.A commitment to citizenship is at the heart of Georgia Power’s core values. Our vision is based on a very simple premise: The quality of life in our communities directly impacts our success. The communities in which we serve are diverse and are growing more so as our state grows. We are committed to contributing to the success and well-being of all of our communities. We take pride in what we have helped our state accomplish and have confidence that we will continue to be a positive force in Georgia.